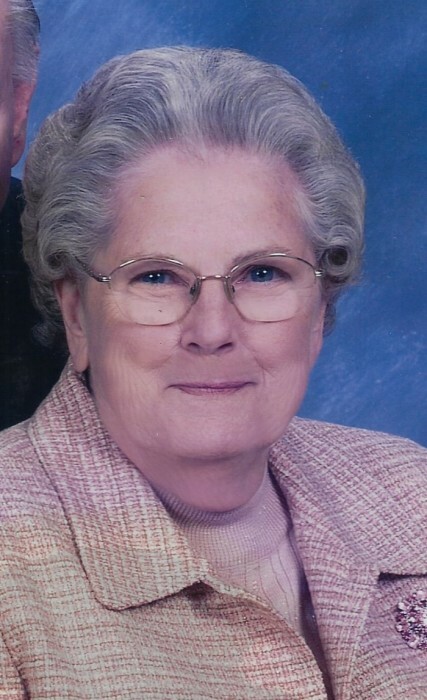 Evelyn Josey Jolly, 88, of Statesville, passed away, April 3, 2019 at the Gordon Hospice House. She was born in Iredell County on July 6, 1930 to the late Samuel Bascum Josey and Juanita Barnhardt Josey. On March 26, 1948, she married Alfred Eugene Jolly, who preceded in her death on march 30, 2008. She was retired from Beauty Maid Mills and was a member of Mountain Road Baptist Church. Along with her parents and husband, she was also preceded in death by sisters, Esther Shepherd, Pansy Miller; brother, Joe Josey; half-brother, Clayton Dyson and son-in-law, Ray Key. Left to cherish her memory are daughters, Peggy Aldridge, Amanda Key; son, Ron Jolly; grandchildren, Lori Gilleland (Michael), Chad Key, Darin Aldridge, Lynn Aldridge, Carrie Jolly, Jenny Jolly, Jesse Jolly (Sara) and five great grandchildren. She is further survived by one sister, Sally Rankin and a sister-in-law, Peggy Jolly. Graveside Funeral services will be held 11:00 am Friday, April 5, 2019 at Iredell Memorial Gardens Cemetery with Rev. Jamie Fox officiating. The family will speak with friends following the service. Troutman Funeral Home is serving the family of Evelyn Jolly.